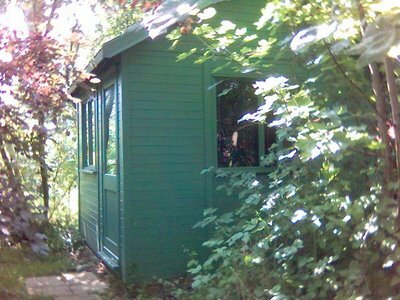 Man in a Shed: Since no parliament can bind another what is Ed Miliband on about ? 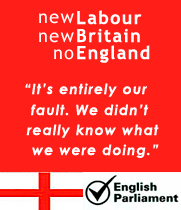 Since no parliament can bind another what is Ed Miliband on about ? Here we go again, the need to garb headlines and make announcements is getting the better of Ed Miliband. Today he's announcing how the world is going to be saved along with the tooth fairy by super fantastic 80% cuts by the UK government. Not when he's in government of course, but in some rose tinted future 2050. It will be, wait for it, legally binding. How scary is that. Just shows you their serious doesn't it. This is a New Labour habit of trying to bind the next parliament with laws made by this one. Its also a typical spin trick by a government who has had greenhouse gas emission rise sharply under its stewardship, but wants to convince you otherwise with mood music. Frankly I think its time to save the tax payer the burden of Ed Miliband's salary and gold plated pension. Also I thought it was against convention for one parliament to bind another. Wasn't it awful. Its like Brown promising to build a million homes by 2020. It wasn't going to happen He wouldn't be around in 2020 to explain if it never happened. As you say this is more of the same tosh. The minister could have said "Increase the target from 60% to 600%. And the Prime Minister has also decided to increase the one million new homes target to three Billion." Why not, its all unachievable and is only a media item anyway. This is currently lead item on Radio 4. It will be forgotten until 2048 when some hack remembers but it made the news today. Mandelson and Campbell are back to their old tricks. A Conservative since 1973 when I learnt that socialism makes the lights go out. An independent since 2011. Signed up to UKIP 2012. “The trouble with theoretical economists is that they don't understand that when you have a deficit, you can only finance it by borrowing, and you've got to persuade people that it's worth lending money to you and that they'll get their money back... there's no way of escaping it.” Dennis Healey during the 1976 Stirling Crisis. "Lenin is said to have declared that the best way to destroy the Capitalist System was to debauch the currency. By a continuing process of inflation, governments can confiscate, secretly and unobserved, an important part of the wealth of their citizens ... Lenin was certainly right. There is no subtler, no surer means of over-turning the existing basis of society than to debauch the currency. The process engages all the hidden forces of economic law on the side of destruction, and does it in a manner which not one man in a million is able to diagnose." John Maynard Keynes, 1920. "To preserve [the people's] independence, we must not let our rulers load us with perpetual debt. We must make our selection between economy and liberty, or profusion and servitude." Thomas Jefferson, President of the United States of America,1801-1809. Guest RSS feed:- Watts Up With That?